The German Energiewende is a heroic but – as it’s conceived now – increasingly disordered effort for unshackling industrial society from the chains of fossil fuels. Due to mistaken assumptions and unrealistic scheduling, it is now confronted with persistent obstacles. The new Merkel government has introduced some changes, but they won’t be enough to sustain the Energiewende, argues independent energy consultant (and renewable energy sympathizer) Jeffrey Michel. It is one of the greatest national energy projects ever undertaken – and viewed by the German government as an export product: the Energiewende – an attempt by a great industrial nation to do away with fossil fuels and (in this case) nuclear power. At present, however, it is not succeeding: Germany is still relying on fossil fuels, with lignite plants the biggest single contributor to electricity supplies. Recently, Germany’s CO2-emissions reached the high levels that prevailed in the 1990s. What is more, if the Energiewende is pursued under current policies, coal and lignite usage will persist beyond 2050. The Energiewende can boast some resounding successes. There are now 1.4 million solar photovoltaic installations in Germany and over 24,000 wind turbines, all of which receive 20 year guaranteed payments for supplying renewable power to the grid. Since the EEG (Erneuerbare-Energien-Gesetz) feed-in law became effective on April 1, 2000, the share of renewable electricity has risen from 5.4% (then chiefly hydropower) to nearly 25%. And there is more to come. Enhanced EEG feed-in payments are foreseen for expanding offshore wind power to supersede conventional generation. Installations of 15,000 MW in the North and Baltic seas are considered achievable by 2030, with capacity factors above 50% delivering nearly twice the yield of land-based turbines. By mid-century, renewable generation is targeted to cover 80% of electrical power demand and 60% of overall energy usage. Yet the Energiewende is encountering serious obstacles. The system of feed-in payments becomes inherently more costly as renewable capacities are added. Sigmar Gabriel, federal minister for economic affairs and energy, has acknowledged that “we have reached the limit of what we can ask of our economy”. Unless the energy transition can be made affordable, “no one in the world will follow us”. The new Merkel government has now announced reduced feed-in tariffs for new installations in a revised “EEG 2.0” strategy for achieving at least 35% renewable grid supplies by 2020 at only moderate additional cost to customers. Under this plan, average feed-in payments would be reduced from 17 to 12 cents/kWh and for onshore wind power to maximally 9 c/kWh. The former practice of excluding large corporations (even golf courses) from EEG burden sharing is to be restricted to operations exposed to foreign competition. Feed-in payment obligations will also be imposed on efficient on-site generation and use. None of this means that the government is scaling down its ambitions. On the contrary, CDU/CSU and SPD in their coalition pact of November 27, 2013, agreed to increase the contribution of “renewable energies” (implicitly on the electric power grid) to 40 to 45 percent in the year 2025 and to 55 to 60 percent in the year 2035 – to be realized under consideration of “broad public participation” and “limitation of costs”. Critics of the Energiewende often object to its alleged “prohibitive cost”, but even though not negligible, this is not the only or main problem. Fossil fuels (including coal mines) have received large subsidies in the past. So has nuclear power. Long term, the price supports provided by the EEG will benefit the common good. The real problem of the Energiewende is that it cannot succeed in its present form. Originally, nuclear power and carbon capture and storage (CCS) were foreseen to insure grid stability and CO2 target fulfillment during the 40-year transition period. But both of these central pillars of decarbonization have been knocked out from under the system. In 2000, the SPD/Green federal coalition government reached a nuclear phase-out consensus with the power industry. Ten years later, however, German parliament extended the operating licenses of several nuclear reactors for another quarter century in line with greenhouse gas reduction goals. But the Japanese Fukushima reactor catastrophe of 2011 soon disqualified nuclear power as a bridge to the renewable energy future in German eyes.. Eight of the country’s 17 nuclear plants were immediately shut down, with the retirement of all remaining reactors scheduled by 2022. 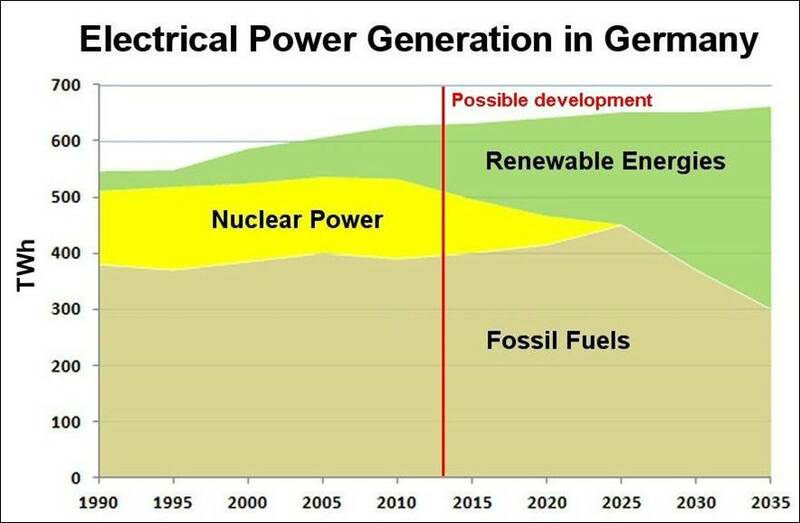 The immediate result of this decision is that fossil fuels will likely dominate grid supplies in Germany until after 2030, as can be seen in the graph below. 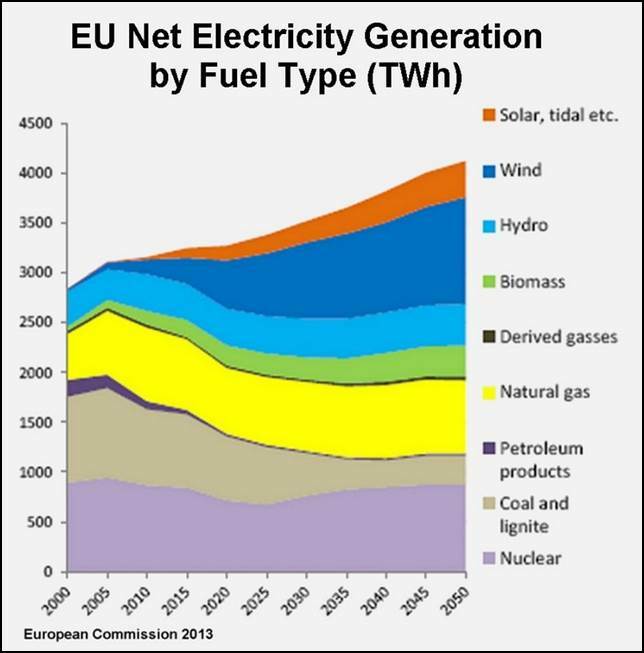 Note that by contrast, the EU as a whole strongly relies on nuclear energy for reducing CO2 emissions in the electrical power sector. In theory, wind and solar farms ranging from the North Sea to the Alps could offset Germany’s loss of 22.2% nuclear electricity, but only after 4,600 kilometers of grid expansion have been realized. By the beginning of this year, just 322 kilometers had been completed. About 40 kilometers per month of additional transmission would still be necessary by 2022 through regions opposing the ensuing landscape degradation without any local economic benefits. With regard to carbon capture and storage (CCS), it is not being implemented in Germany – and unlikely to happen in the future. Until 2020, 17 new coal and lignite (brown coal) plants are scheduled for completion. Eliminating carbon dioxide from flue gases is not planned at any site, however. 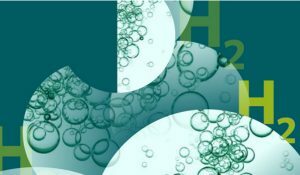 German policymakers and the general public have rejected CCS, since the required geological injection of pressurized CO2 could endanger local watersheds. 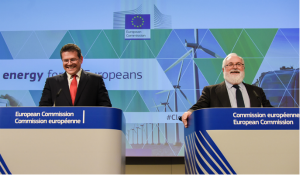 Thus, Europe’s chief contributor (20%) of greenhouse gases from 11% of its population has refrained from implementing EU Directive 2009/31/EC on (CCS). The Germans may be right to resist CCS but for the wrong reasons. The fact is that CCS-equipped coal-fired power plants will never be an efficient source of CO2-free power. What the advocates of CCS usually neglect to mention is that the reduced efficiency which is the result of implementing CCS processes greatly increases total energy use. 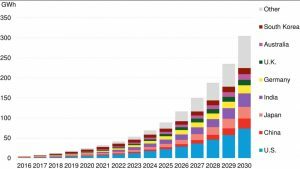 In the German case, increasing fossil fuel usage to compensate for nuclear phase-out while equipping all grid power stations with CO2 capture would require more than 200 TWh of supplemental generation for CCS process chains. This additional energy equates to over 100,000 new wind turbines (more than four times the turbine count in 2013) or about twice current hard coal generation. It is also doubtful whether Germany could ever license sufficient onshore CO2 storage capacity. Using alternative North Sea geological formations would require an extensive pipeline network. 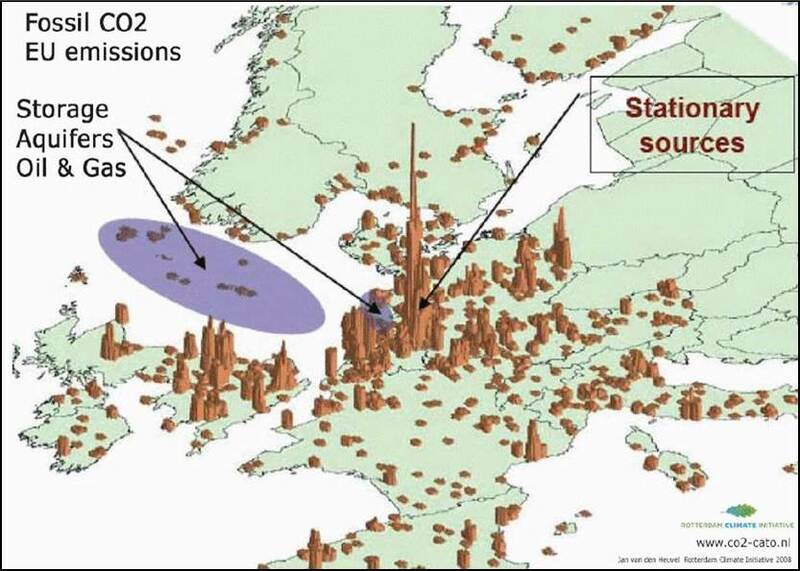 Without nuclear power and CCS, it will not be possible for Germany to maintain CO2 reduction schedules. A 2009 study of the German Energy Agency (dena) has shown that achieving 80% renewable electricity in 2050 can provide just 24% of dependable grid supplies. Despite additional 9% power storage and 25% reduced demand, 60% backup capacity would still be required to compensate for fluctuating solar and wind availability. If that capacity is not provided by nuclear power, fossil fuels will remain indispensible to Germany’s energy infrastructure. Exports of excess supplies could be reduced by expanding by the transmission networks and constraining conventional generation, but this is also an expensive option with costs likewise borne by customers. Current utility rates for households and small businesses approaching 30 cents (40 US) per kilowatt-hour are among the highest in the world. Industrial users have to a large extent been exempted from surcharges, but this situation might not last. The EU is investigating whether the exemptions are a form of illegal state aid. The government is under pressure from consumers to make industry pay its fair share of the energy transition. The latest government measures penalize efficient on-site generation. German manufacturers are seriously troubled by this prospect. Reinhard Ploss, CEO of microchip manufacturer Infineon Technologies, stated at the annual shareholder meeting on February 13 that Germany could become a “museum of industry” if rising electricity prices caused companies to leave the country. Infineon estimates that its energy-related production costs would be nearly 25 million euros lower in Austria and almost 30 million euros less in Malaysia. 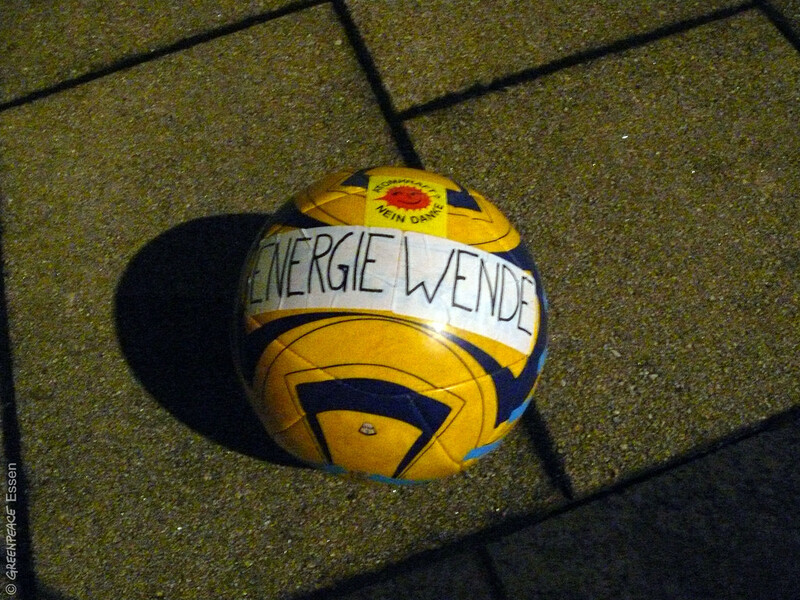 What can be done to resolve the dilemmas of the Energiewende? One available option is to increase reliance on near-field generation. As long as interconnections with distant renewable power sites remain inadequate, cities and industrial centers will rely on local energy sources. 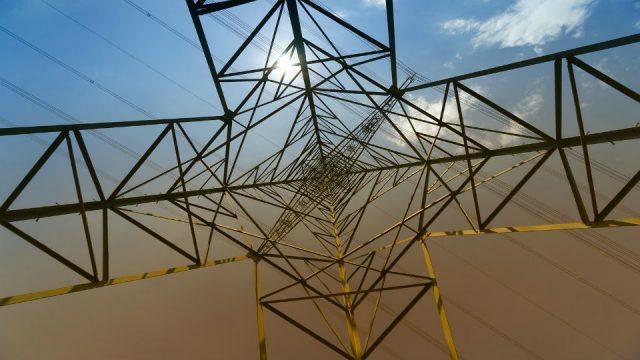 With environmentally destructive lignite power often dominating long-range transmission, furthermore, skepticism persists over future grid expansion. This circumstance is providing new opportunities for innovative diversity. Increasingly numerous initiatives for regional generation with solar and wind power supplemented by gas generation are in various stages of realization. These developments are not scaled for energy-intensive heavy industries, however. Large cities are also required to procure greater amounts of electricity than local solar and wind resources can provide. Interregional coordination is therefore essential to the future progress of the German energy transition. This need has already been appreciated by a coal power plant conglomerate that is emerging with labor union support to confront the growing market penetration of renewable energies. Another prospect was provided by a recent initiative when representatives from several German states met with federal officials to discuss a possible reduction of new grid extensions along with diminished offshore wind power development. Bavaria’s minister for the economy and energy, Ilse Aigner, immediately responded with the proposal for an alternative natural gas power plant near the city of Schweinfurt. The unit would supersede a local 1,345 MW nuclear reactor while also reducing the need for extra-territorial electricity, albeit with greater dependency on Russian gas imports. Estimates indicated that Bavaria would be able to establish a statewide renewable power market with three supplemental peak generating plants of 2,640 MW total backup capacity. In the meantime, it cannot be ruled out that some German States may argue for delayed phase-out of their nuclear power stations. 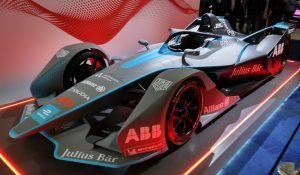 Clouded references in Bavaria to that possibility have gained currency with widespread protests against grid expansion and potential gas delivery shortages from Eastern Europe. In any case, a fundamental rethinking appears necessary to maintain the impetus of the Energiewende. It is worth remembering what has already been accomplished. The original EEG goal envisioned in 2000 of achieving 12.5% renewable electricity supplies in Germany by 2012 has already been exceeded twofold for non-hydro sources. Resulting mass production has significantly lowered equipment costs and promoted global technological deployment. Over half of renewable energy installations in Germany are now being realized below grid parity, rendering the EEG superfluous in the near future. In short, Germany’s energy transition constitutes a historic contribution to renewable energy development. Rather than being discouraged by regional setbacks, Germany should make every possible effort to make it succeed as a nationally coherent strategy. Jeffrey H. Michel (Jeffrey.michel@gmx.net) is an independent energy consultant and author based in Hamburg, Germany. Even today, I don’t think it is fair to say that Germany aims to “do away with fossil fuels.” The official governmental target for 2050 is only 60 percent renewables across all forms of energy, with 80 percent being the target in the power sector. 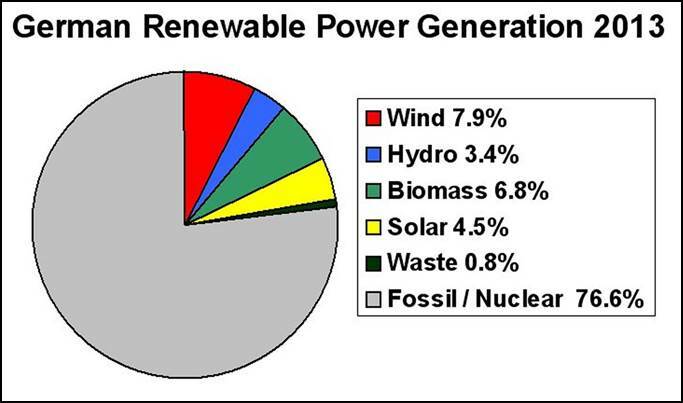 Given the nuclear phaseout, the remaining 40 and 20 percent of energy/electricity must therefore be from fossil fuels. The bigger problem is, as you point out, that Germany is poised to miss its targets. This week, a governmental study estimated that Germany would reduce its carbon emissions by less than 35 percent instead of the envisioned 40 percent by 2020. The problem is that progress has only come from the power sector, with almost no attention paid to heat and transportation. 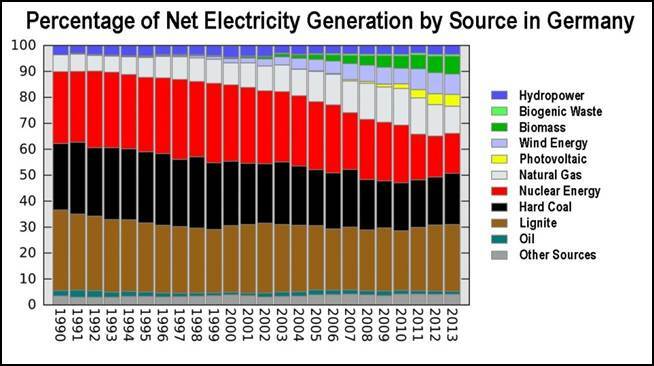 The focus on coal consumption is in line with this skewed concentration on electricity. Fascinating stuff but rather too apolitical. The world is likely to change hugely ‘around’ Germany (?) A perceive a more suspect and also historic motive, energy independence (autarchy) – an old dream, very dangerous IMHO. German only wants to sell rather tah buy from the rest of the world. This is already a problem for the Eu and beyond. 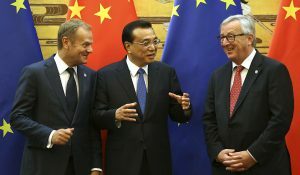 If it no longer imports ‘energy’ what will its trade consist of, especially were continuing high energy prices really encourage energy intensive industries to move elsewhere. The Germans remain parochial, ideologically motivated and hence rather frightening to me. Craig, Energiewende transitions have always been part of German industrial history. In the 19th century, electrical machines replaced steam boilers on the sugar beet fields. Lignite surface mines were opened following WWI after hard coal operations in Silesia had been annexed by Poland. Nuclear power was Chancellor Helmut Schmidt’s response to two OPEC oil crises. As you have intimated, misunderstandings often emerge about the original reasons for current objectives. The commanding Energiwende ideology today calls for “100% renewable energies”, a doctrine championed by the co-author of the EEG law, Hans-Josef Fell. How long would Germans be willing to support the prospect of paying ultimately the highest electricity prices in the world, surpassing even Denmark and Hawaii, for receiving only 50% renewable electricity? Adding to the confusion are shifting perceptions of the future. When the EEG was introduced in 2000, energy experts assumed that global oil resources would be peaking in 2008, and that natural gas formations could be depleted everywhere before mid-century. Today by contrast, certain analysts are convinced that Fracking – not part of German thinking a decade ago – could now save the Energiewende. In the late 1990s, the Green parliamentarian Werner Schulz stated that lignite would no longer be mined after 2020. Many environmental groups and institutes still claim that Germany could halt its usage by 2030. You by contrast imply that some of it could still be employed for a couple of centuries, which is entirely plausible. After the Chernobyl reactor catastrophe in 1986, furthermore, Germany’s Social Democrats called for a complete abandonment of nuclear power within a decade. That demand was later modified to the promise of full nuclear phase-out ten years after the SPD took office. Once that party had assumed power with the Greens in 1998, however, no legislation was enacted to close all of Germany’s nuclear power plants by 2008. Why should politicians receive full income for assuming leadership roles when they so often prove to be misinformed? It might be more in keeping with democratic efficiency to hold some of that money in escrow until their promises had been fulfilled. The German´s Energiwende reminds me everyday more the case of the Spanish policy to encourage renewables. Germany has already decided reducing fee-in tariffs for new renewable developments and obliging industrial facilities to share the burden as done in Spain after an initial visionary policy; eventually, Germany may need to further reduce or even cut all subsidies. There are, however, two main differences that can save Germany the traumatic Spanish experience. On one side, the feed-in tariff in Germany of €170 MWh seems bearable compared to €440 MWh granted in Spain to many PV facilities. On the other, Germany has not the budget concern of Spain that is making of the electricity tariff a fiscal instrument to assuage the deficit. Fortunately for Spain, there is no nuclear phase-out plan in perspective. The reservations expressed in this article on the success of the Energiewende have now largely been confirmed by the latest Index Report presented semi-annually by McKinsey & Company. Many of the secondary indicators such as solar and offshore wind power expansion, reserve capacities, and jobs in the renewable energy sector are rated in this appraisal as realistic. On the other hand, the primary objectives remain unattainable. Germany will be unable to reduce its greenhouse gas emissions by 40 percent between 1990 and 2020. McKinsey notes: “In order to achieve the 2020 target, the average annual CO2 reduction rates compared to the period 2000 – 2014 would have approximately quadrupled from now on.” Since almost all of Germany’s coal and lignite power plants are currently operating at a deficit, however, they will likely try to increase revenues by generating as much carbon-intensive electricity as possible. Since March, furthermore, only 41 kilometers of new transmission capacity have been constructed, just half of the distance planned for this period. The price of electricity for private households in Germany is 29,3 ct/kWh, which is 41,1 percent above the average price in Western Europe, even though additional renewable power generation has caused overall prices to decline by 0.5 ct/kWh. The “new reality”, the McKinsey report concludes, is that large energy corporations such as E.ON and RWE will need to adapt to changing conditions with “New Downstream” services such as smart home technologies, demand side management, and energy efficiency improvements. However, competitors from the telecommunications and IT industries are already active in these fields.